A silent auction has been added to the festivities to keep sculptures in Cloverdale for at least another 15 years. 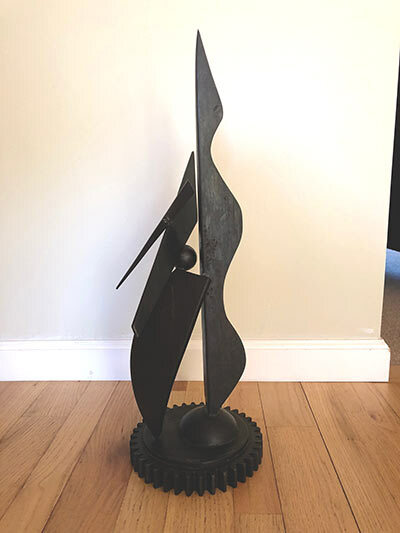 Our auction is a SUPER auction with unique items, some specially created for this auction. 23" x 25" x 8"
8.5" x 12" x 10.5"
"The Lost Forest on Ring Neck Snake Road…Winter’s Reign"
"The Lost Forest on Ring Neck Snake Road….Shadows"
This weather resistant sculpture is suitable for the garden. It can be hung or placed on the ground. 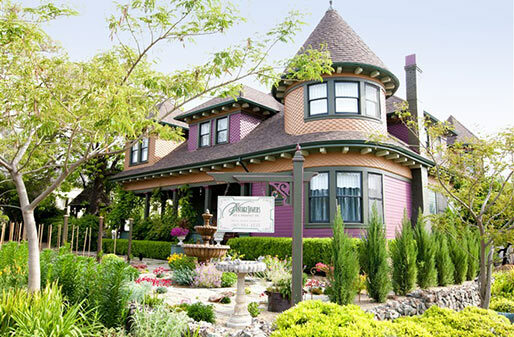 "A Century of Change – 1862-1962"
Historian, Joaquin Espinosa will conduct a tour and discuss the four distinct styles of architecture found in Cloverdale: Gothic Revival, Craftsman, Victorian and Contemporary Modern. After the tour, refreshments and wine will be served in the History Center gardens. redwoods, the coast, the agricultural history, the entertainment industry and Silicon Valley, the spirit of Cloverdale and its place in the state’s history. Saturday or a Sunday to be determined with Greg and winning bidder. One Hour Facial at this small, elegant, petite retreat for restorative skincare and waxing. Spa package consisting of Etta &Billie soap, body wash, bath salt & lotion. 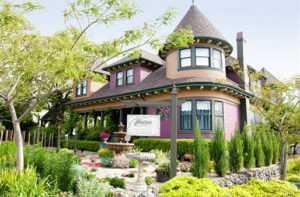 Kelley & Young Wine Garden Inn "Wine Country Package"
One night stay for two persons in the lovingly restored Queen Anne Victorian. Built in 1901, it is listed on the United States Register of Historic Places. The inn is surrounded by magnificent gardens, where guests can find intimate seating areas for relaxing and reconnecting. Guests are provided with a choice of seven uniquely different guest rooms, four of which are tower suites with fireplaces. Each of the well- appointed guestrooms offer luxurious linens, air conditioning, wireless internet access, and private bathrooms. This package includes a food and wine pairing for up to 8 guests. Package includes vineyard & cave tour for 6 guests and a magnum of their Alexander Valley 2014 Cabernet Sauvignon, Five Sisters Blend. Campovida Winery "Taste & Tour"
Gift Basket includes a certificate for a tour of the lovely gardens followed by a wine tasting for two, a bottle of Marsanne with two signature wine glasses. Includes: 4 bottles of 2015 GSM Red, Alexander Valley, 4 bottles of Bad Dog Red and 4 bottles of 2016 Viognier, Salem Ranch Dry Creek. This unique tour and tasting is a hands on educational wine experience. Bob Dog Wines is the highest winery in Sonoma County and the only winery located in the new Pine Mountain-Cloverdale Peak Appellation. 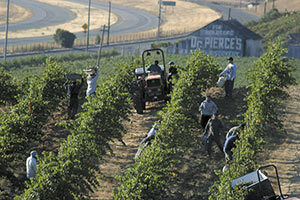 At 2000 feet above the Alexander Valley and is surrounded by the Estate Bordeaux grape lands of Sky Pine Vineyards. while you experience Icaria wines in a private setting, overlooking the vineyard or in the wine cellar. This land is steeped in history and was once home to the Icarians, a French communist utopia, whose leader and members had a dream of a utopian society where "All citizens enjoyed everything in common, no personal ownership, no aristocracy." More auction items will be added as received, check back with us.